"Mr. Sigerson", has just left his home. Where exactly is this abode? Mr. Sigerson, aka Sherlock Homes, resided at fictional address of 221B Baker Street, London, England. Had it been a real address it would have been at the north end of Baker Street on the west side, near Regent's Park and the Baker Street Tube Station. 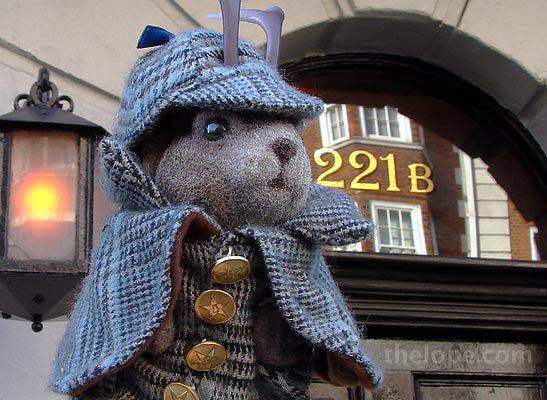 I believe Ace is in front of the Sherlock Holme's Museum, in the area described above. The museum has been designated by the local council as 221B Baker Street. The Sherlock Holmes adventures are always a good read.